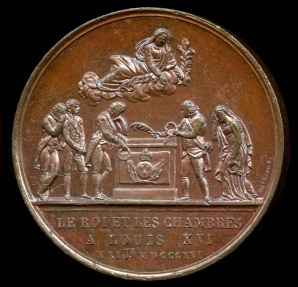 1816 France - King Louis XVIII - Consecration of Louis XVI and Marie Antoinette Burial Place by Joseph Gayrard Obverse: LOUIS XVIII ROI DE FRANCE ET DU NAVARRE -- Military bust of King Louis XVIII facing left. 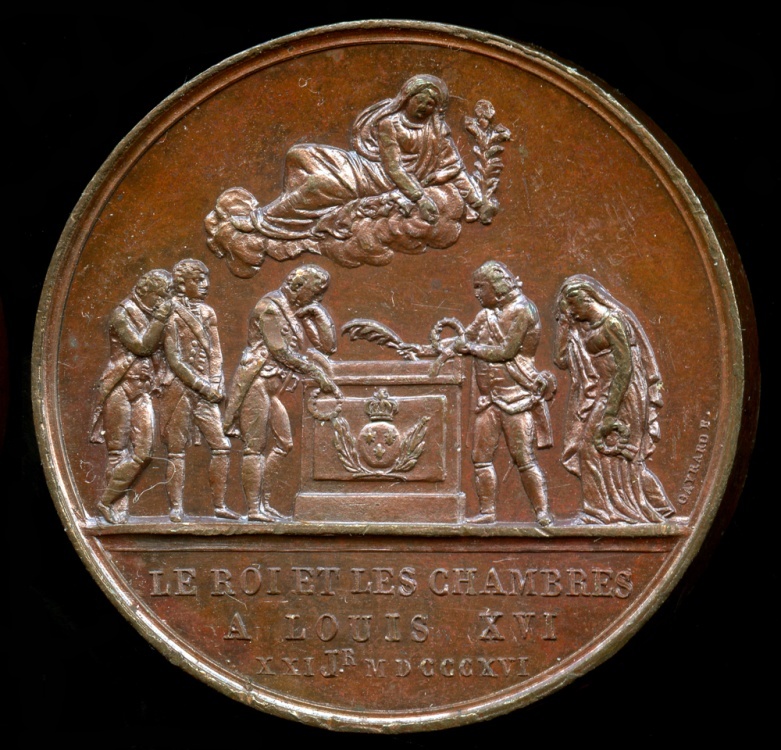 // Reverse: LE ROI ET LES CHAMBRES / A LOUIS XVI / XXI JR. MDCCCXVI -- king Louis XVIII paying his respects to the tomb of his brother Louis XVI. Bronze, About Uncirculated, 32.7 mm, 17.5 g, Edge: Plain, smooth edge, no mint marks; struck at the French Mint prior to October 1841., Signed "GAYRARD F." on the reverse. 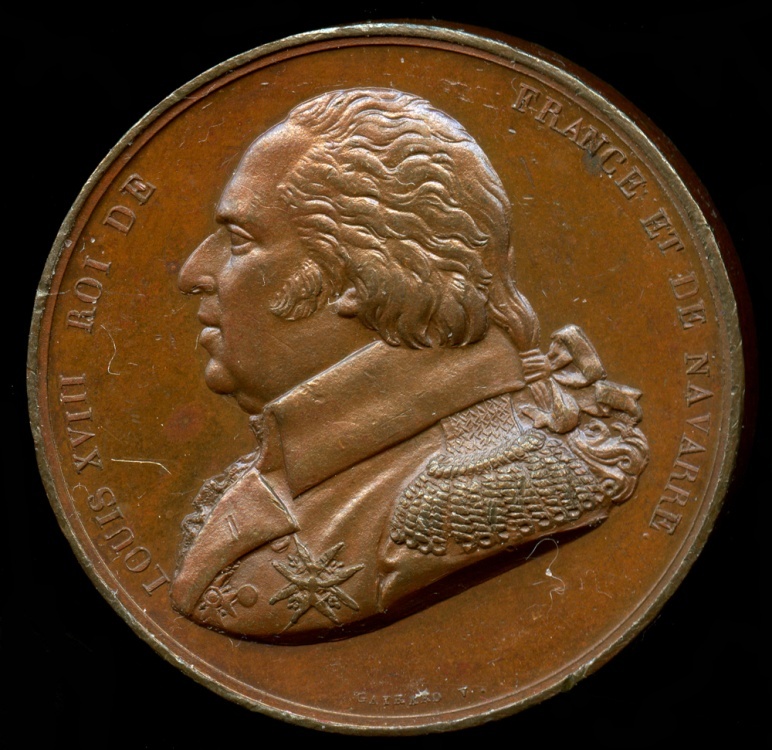 This is an original strike from the French Mint!